JOE GIBBS PRODUCTIONS Standardization vinyl at Juno Records. 1. 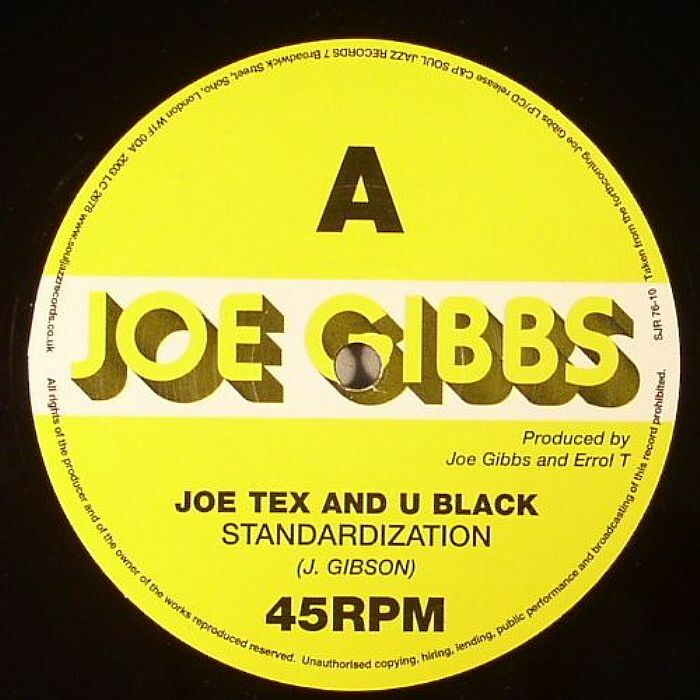 Joe Tex & U Black - "Standardization"
1. Joe Gibbs & The Professionals - "Colour TV"